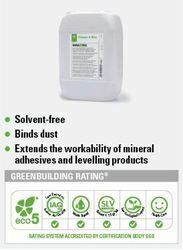 We offer Primer A Eco which is a surface insulation certified ecofriendly water absorbent for dry, cement and is ideal for use in green building. Primer A Eco develops a cohesive insulating film suitable for neutralizing chemical reaction. DI PRIMER is an acrylic modified product, which has deep impregnating action on porous substrates. On application it gives a clear film over the substrate thereby binding all loose particles. We are looking for Bulk queries only. - Can be used as a primer coat under all waterproof coatings system. FAP PVA Primer White for Masonry is a water based, fast drying primer & sealer formulated for use on new dry wall. It has excellent adhesion and good alkali resistance on cementatious surfaces. It is a general-purpose primer for masonry works. It is suitable for interior/exterior applications. It contains anti-fungal and anti-bacterial additives. Cement Primer-Imperial Plus watre thinnable is widely appreciated for superior quality, our Acrylic Cement Primer has become a favored choice among millions. The Water Based Acrylic Cement Primer, which we manufacture, is ideal for both interior and exterior walls. A water based ‘rust convertor’ primer. To be used on the most corroded steel work to bond rust back to steel. We provide optimum quality Interior Primer that is extensively used to protect and restore the paint. Our Interior Water-Based Primer is prepared from the high quality base materials. Quick Overview All purpose primer for interiors to improve adhesion. Ideal for absorbent and non-absorbent surfaces. Polymax - Eco Prime T Acrylic Surface Primer is all purpose primer for interiors to improve adhesion. - Apply Eco Prim T only on internal flooring. British Paints Acrylic Cement Primer is water thinnable primer which is especially meant for interior walls. 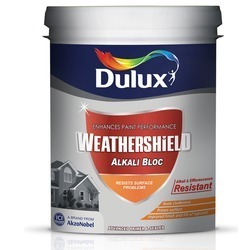 It can be applied on a wide range of plastered walls, asbestos, cement, concrete etc as an undercoat. With the experience of last several years of desirable service to our clients, we take pride to state that we are counted among the top ranked companies for the manufacture and supply of primers. Our primers are made of pure quality materials and are manufactured and processed in a technically advanced manner. We manufacture Acrylic Zinc Chrome Primers. We make good quality Acrylic thinner as per Indian standard. Acrylic primers are used before the application of Acrylic Paints. It is anti-corrosive in nature. It gives good adhesion to the surface area of Mild Steel, Aluminium etc. These Primers are quick dry Primers. Acrylic Primers & Thinners are used for Acrylic Paints & Primers.